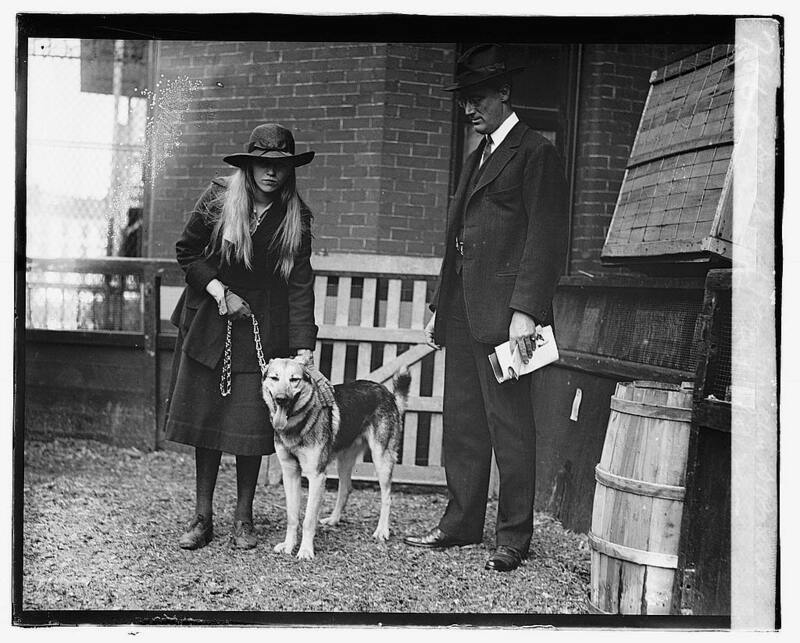 Anna Roosevelt, German Shepard “Chief of the Mohawk,” and Franklin Roosevelt at the seventh annual dog show of the Washington Kennel Club, 1920. In addition to working in public relations and journalism, Anna served as an aide to her father, accompanying him to the Yalta Conference in 1945. During JFK’s administration, Anna served on both the Citizen’s Advisory Council on the Status of Women and the President’s Commission for the Observance of Human Rights.